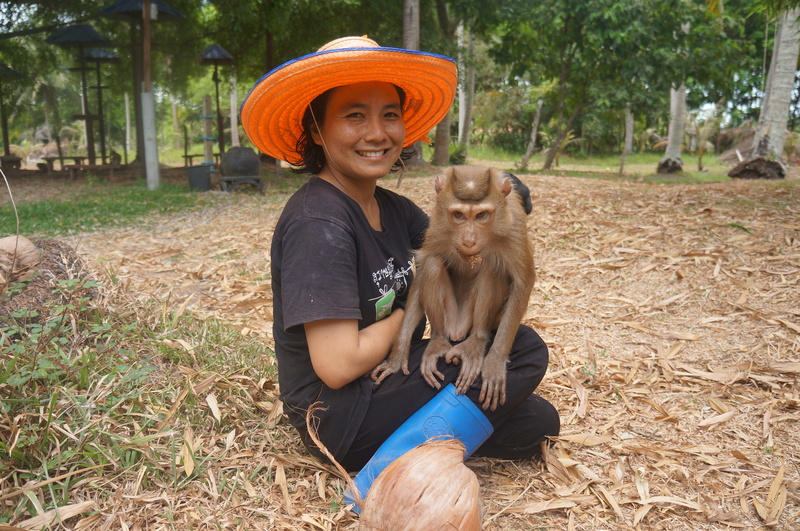 Do you want to know about monkey business in Thailand? First you have to know that coconut production is big business in Thailand and Surat Thani province is one of the biggest coconut producers. 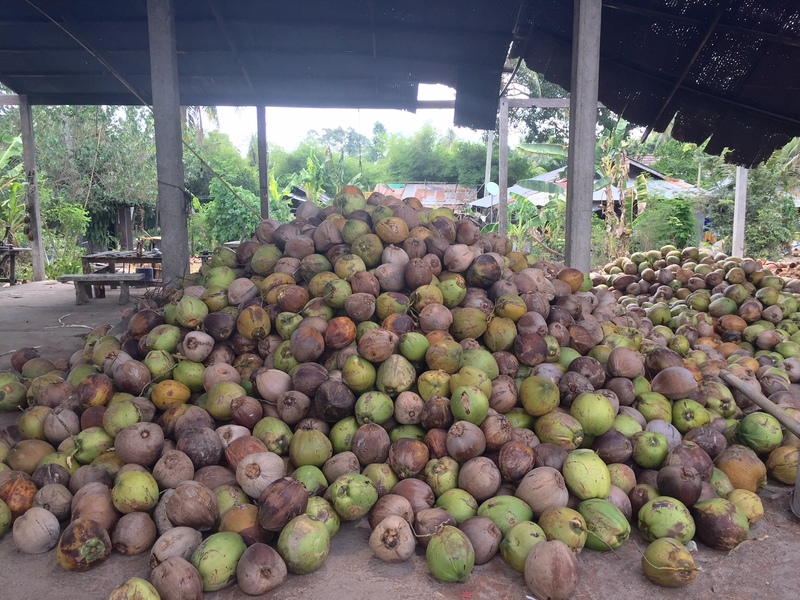 The office of Agricultural Economics in Thailand reported that in 2013 Thailand produced about 1 million tonnes of coconuts with a value of about THB 2,600 million (nearly USD 80 million). How do we pick millions of coconuts every year from very tall trees?! Coconuts grow on very high trees (up to 25m) and therefore difficult for people to reach. Machines to pick at that height would be very expensive. That’s why in Thailand we train monkeys to pick coconuts from very high trees and this is exactly what the Monkey Training College in Surat Thani does. 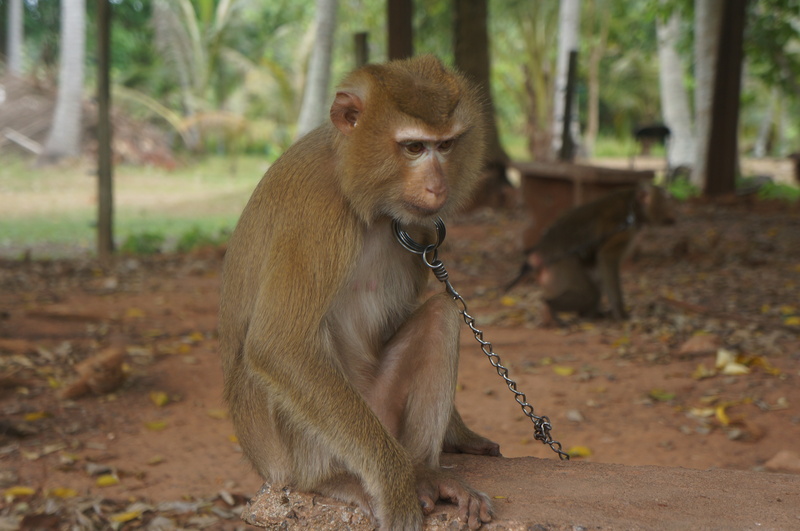 It takes about 6 months to train a monkey so that farmers can use them to work but the monkey trainer mentioned that some monkeys can take up to 1 year depending on how old monkey is. If they are very young they probably need a longer time. 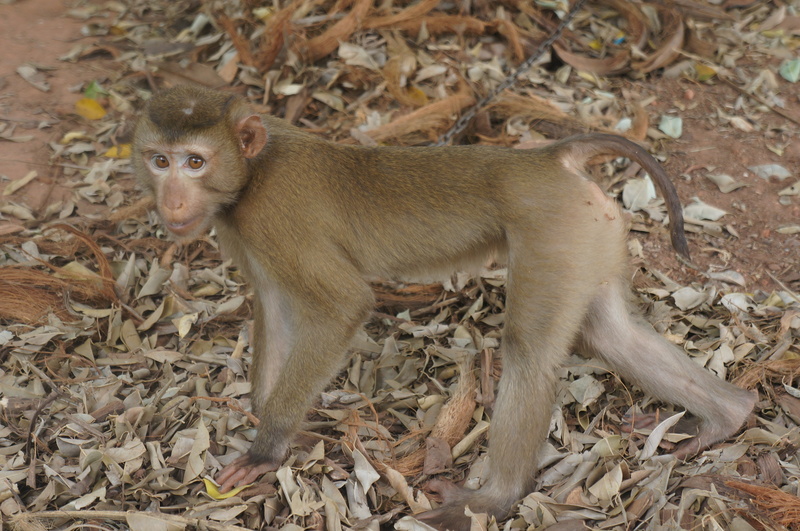 At the time I visited there were 9 monkeys attending the school and all of them were sponsored by their owner/farmer waiting for them to graduate! 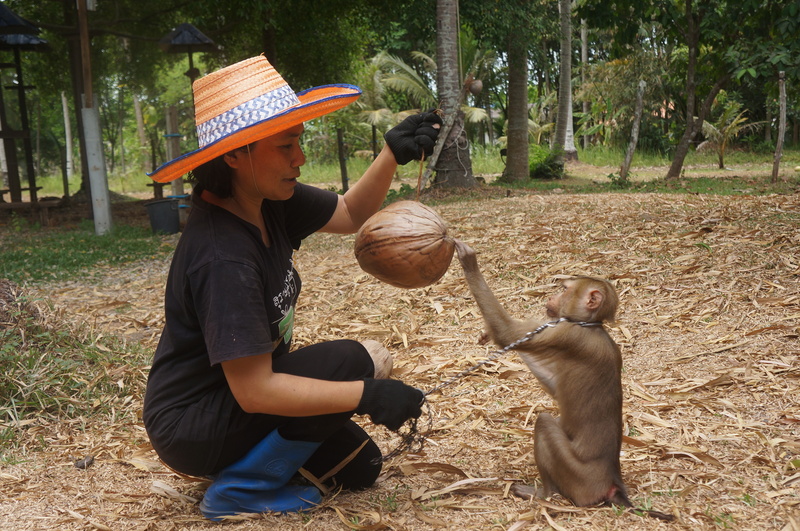 The trainer showed us how to teach monkeys to climb a coconut tree, to pick the right coconut, to collect coconuts on the ground and put them in a bag, to sit properly on a motorbike with their owner and to untangle the rope attached to their collar. It was very impressive. Here is the website of the school if you would like to visit. The demonstration by the trainer takes about one hour. The monkeys are not trained to perform tricks. They are trained to do serious work. But the trainer will allow you to pose for a picture with a monkey perched on your arm. I have no idea how many million coconuts to produce a million tonnes of coconuts each year and how many trained monkeys we need! 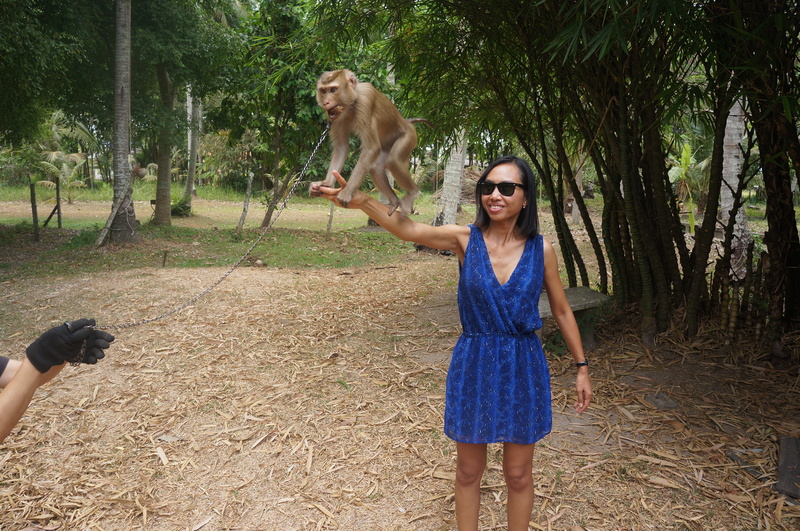 We are maybe not very good at teaching people in Thailand but we are expert at teaching monkeys!